Where does it go? Time, I mean. It’s not so long ago that I was slaving over a hot computer to write The House at Zaronza (actually, it will be three years in November). And surely it’s only yesterday that it was published? No, today it’s my novel’s first birthday. Now it enters the terrible twos. I claim no credit for its recent success. In fact, I wonder if I had a hand in it at all. For months after my book was published, I thought that plastering Twitter and Facebook with sales links and endorsements was the way to go. But it slid inexorably in the rankings. I guessed people were getting dischuffed and my feeble efforts were probably lost among the zillions of others. So I scaled back. Instead, I blogged a bit, did more publicity for other writers, including hosting them on here, and spent a bit more time on Goodreads and FB forums, but without doing the hard sell. My recent workload has meant that I am currently around less on social media and so I have to make more productive use of the time I do have on it. I suspect that Amazon has been giving The House at Zaronza a helping hand, too. They appear to start actively marketing books when their ranking crosses a certain threshold. Success breeds success. And maybe some people have enjoyed the book and have told others about it and the ripple effect flows outwards. I don’t really know what has worked. If I did, I’d bottle it and sell it. But let me share with you the biggest lesson I have learned as a published author: direct sales pitches on social media do not work. Not for me, anyway. And that gives me an excuse to focus on writing the next one. Zaronza has to make its own way in the world now. 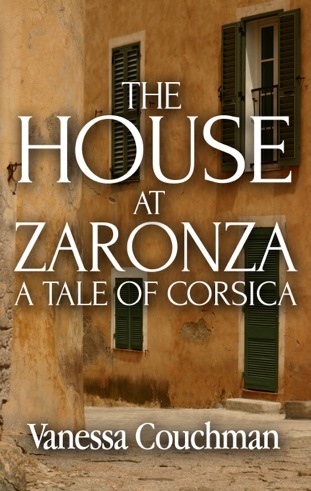 This entry was posted in Fiction, Novels and tagged Amazon, book marketing, Corsica, Crooked Cat Publishing, historical fiction, Novel, publishing, social media, The House at Zaronza by nessafrance. Bookmark the permalink. Thank you for the advice on publicity. The FB groups sound interesting, and a better way of advertising your novel. Great post! Thank you for commenting – and for the follow. Indirect publicity seems to be so much more effective.